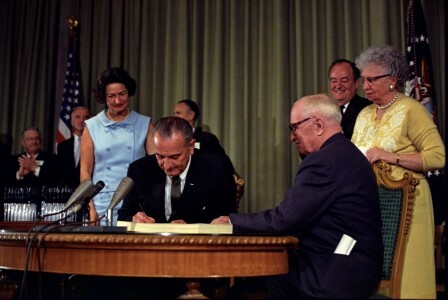 Two years later, U.S. President Lyndon Baines Johnson signed the Social Security Amendments into law, kicking off both the Medicare and Medicaid programs. Former U.S. President Harry Truman and his wife, Bess, became the first Americans to receive Medicare cards. While Medicare was designed to offer health insurance to all Americans 65 years of age and older, Medicaid covered low-income groups. Medicaid continues to be a state-managed program with at least 50 percent of costs reimbursed by the federal government. Weeks after Johnson’s action, the U.S. Senate Subcommittee on Long Term Care met at New York University Medical Center on the Upper East Side. Money infusion was not the final answer; it was just a means to an end. The real question remains the same we continue to ask today — how should health care funds be spent? By then serving as a U.S. Senator, Robert Kennedy joined that panel as an invited guest. Nursing homes were a chief concern. Now, fast forward nearly a decade ahead. 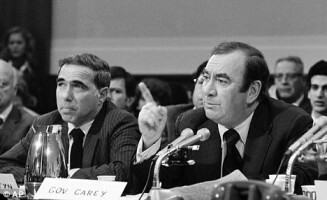 New York State faced a nursing home scandal of gargantuan magnitude with reporting partly spearheaded by John Hess from The New York Times who asked in 1974, “Why are the laws not enforced?” He described a shocking scene, with homes hundreds of beds over capacity, unsanitary conditions and even one nursing home operator who mishandled $46,750 in patients’ funds. That amounts to about $244,000 today! In response, New York Governor Hugh Carey and the state’s longest serving Attorney General Louis Lefkowitz, chose Charles J. Hynes to serve as Special Prosecutor for Nursing Homes on January 10, 1975. A new Moreland Act Commission also investigated this stubborn problem. While pursuing compliance and prosecutions by establishing eight offices across New York State, Hynes testified before Congress several times. Joining him was Samuel Skinner, U.S. Attorney for the Northern District of Illinois since President Gerald Ford appointed him in 1975. The Senate Long Term Care Subcommittee produced a 295-page document on August 30, 1976. It relayed how little had changed in New York, despite over 100 critical reports in 10 years. A spotlight shined from New York to Illinois where U.S. Attorney Sam Skinner aggressively prosecuted Medicaid fraud cases within what he testified was the first federal governmental fraud unit in the country. In Massachusetts, Donald Zerendow headed a nursing homes task force under the direction of Attorney General Francis Bellotti, himself a legendary innovator. From this public ruckus came House of Representatives bill number three of 1977. Among other provisions, it established a funding program for State Medicaid Fraud Control Units (MFCU). Federal funds covered 90 percent of the MFCU’s operating costs for the first three years which then decreased to 75 percent. Their intended mission was to protect Medicaid program integrity. 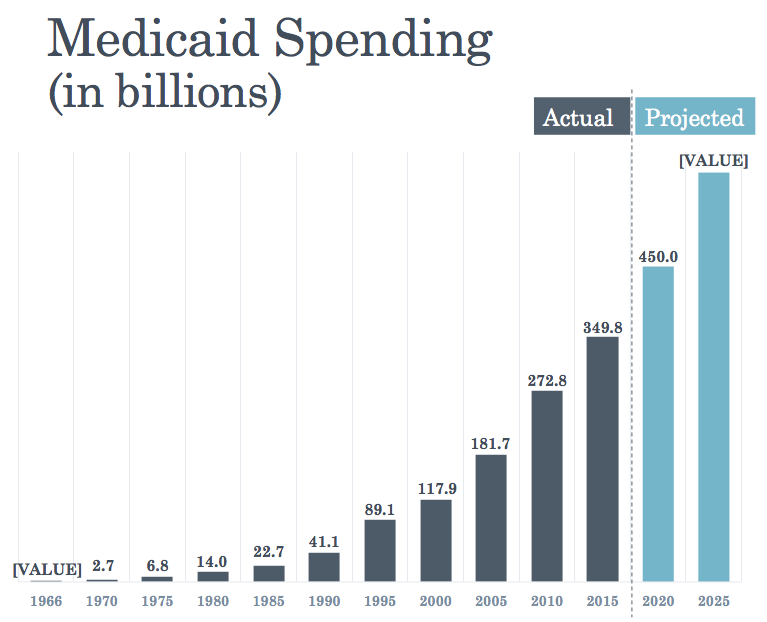 While Medicaid spending totaled $6.8 billion in 1975, that number was $349.8 billion in 2015. With that steadily growing cash pool, Medicaid fraud opportunities have grown, too. Today, America has 50 MFCUs which are still 75 percent funded by the federal government. North Dakota remains the only state still lacking a MFCU. The Office of Inspector General for U.S. Health and Human Services publishes an annual report which measures national MFCU performance. Its 2016 edition relays how the total cost of all MFCUs was $259 million with $194 million of that (i.e. 75 percent of the total) from federal funds. Given the ratio of operating costs and recoveries alone, that’s a 733 percent return on the investment! That figure is in addition to any projected value of future cost savings and general deterrence. Of course, this all began forty years ago when our leaders insisted on change. It materialized when President Jimmy Carter signed HR-3 into law on October 25, 1977. To make something sustainable, many voices converged from federal, state, and local sectors. Together, they devised a new solution to an old problem. The MFCU embodies their legacy. Today’s skyrocketing Medicaid budget is a bugler’s call which our modern visionaries must heed. By fueling state fraud units with bigger budgets, they’ll likely inspire even greater returns.